3-5’ x 4-8’+ Coprosma are members of the Coffee Family. This Pilo (note many of the species have the same Hawaiian name) is a stiff branched, upright shrub with tufts of oval shaped leaves and very attractive bright orange berries and is often a dominant high elevation plant (but can be grown a low elevation). 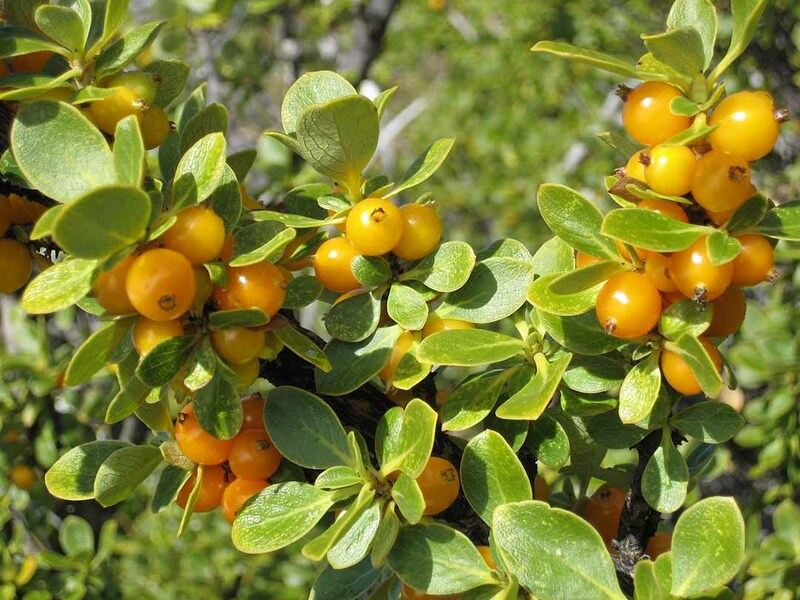 Many Native birds eat the fruit, but again hikers should avoid them, as they are a laxative. Coprosma are dioecious, with creamy-white or greenish-white male and female flowers on different plants.